It was snowing a bit this morning in Chamonix: very lightly, with a couple of centimetres of fresh snow. The Brevent pistes were very nice to ski: soft and creamy first thing this morning, as we had some fresh snow yesterday too. It was quite windy up there, and the visibility wasn't great, but it wasn't really cold, and the black run down to the valley is open, and provided some great visibility in the trees. Almost everything is open today, despite the wind. 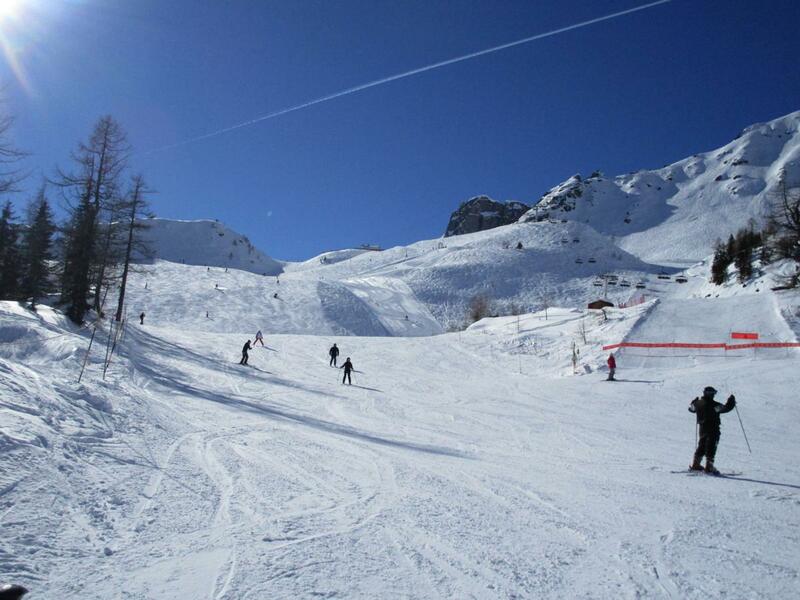 Pistes will probably becoming firmer during the day, but it isn't too busy with people today. The sky is clearing a bit this afternoon, and maybe there will be some clear spells tomorrow, with a lot of wind, before the active weather hits us. It will probably start with rain in town, but the snowline should drop below 1000m again, and they have forecast 30-50cm of fresh snow in the mountains through Monday! Yesterday there was about 15cm of new snow in the mountains, the first since last Sunday, which was very nice, and the sun came out too (see the last photo above). 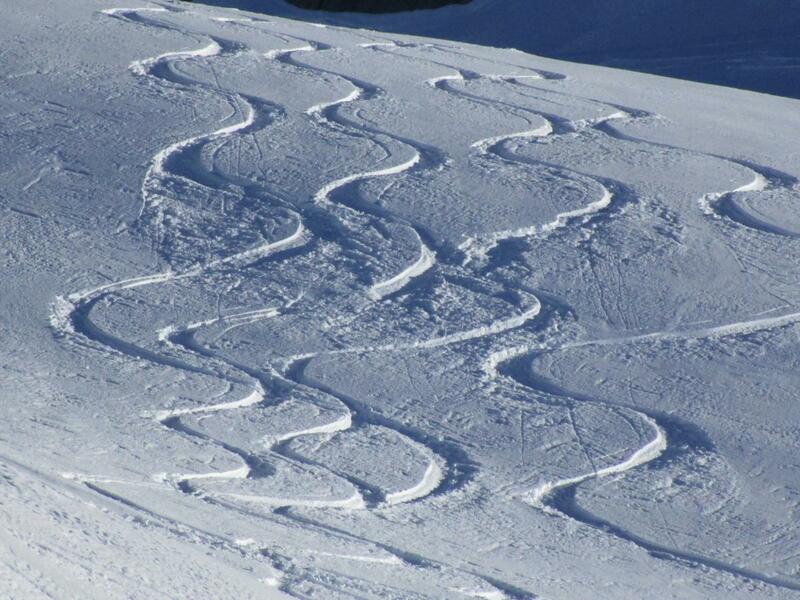 We went exploring the uncontrolled area of the Grands Montets summit again, which turned up some great deep snow.